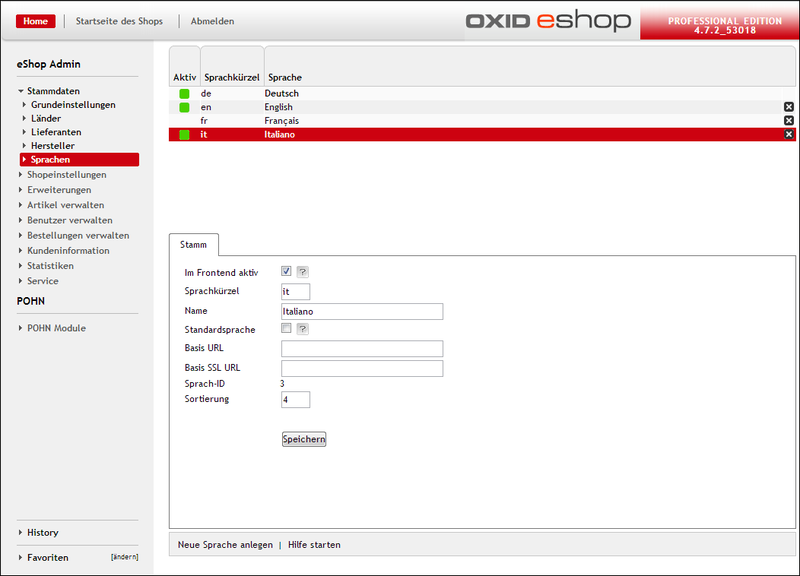 OXID eXchange | Sprachpakete Backend Italienisch PE 1.3 | Stable | PE | 4.9.x | Module, Themes, Language Packs direkt herunterladen! The Italian language package including the Italian flag for your eshop-Backend. Offer your administartors an eshop in Italian. This package contains all the translations for the Admin interface including the texts in the pdf files generated by the shop.